$32 - Freshen up her wardrobe before the school year is over with this new tween shirt from PPLA. The top is created with a light weight fabric that is comfortable and breathable. The tee offers her a casual fit with a straight hem. Her U neckline is framed with short sleeves. A shoulder cutout is added to keep this top trendy. 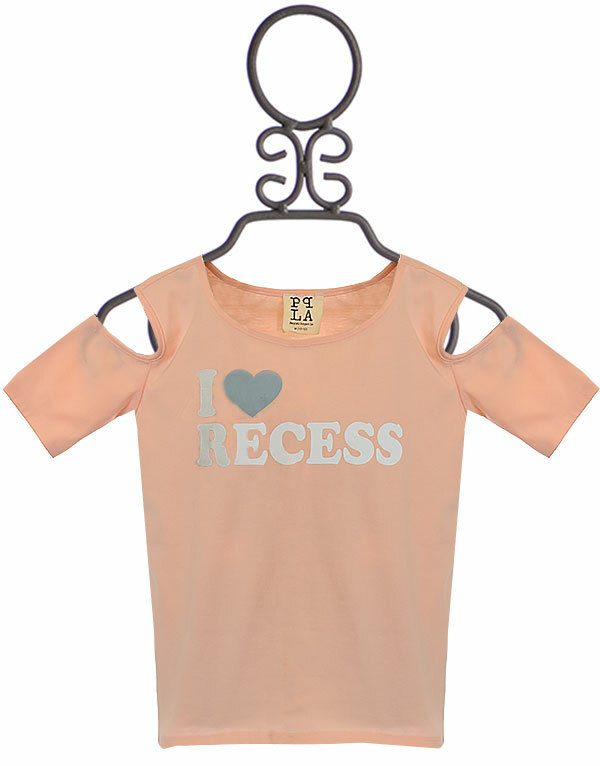 A screen print on the boasts of her love for recess. Pair this with jeans and shorts alike for casual, every day outfit that stands out from the rest.